Google Drive consists on Google Sheet, Docs, and Slides. It also offers an office suite that allows collaborative editing of spreadsheets, documents, drawings, forms, presentations, and more. Those files created and edited using the office suite are stored in Google Drive. Google Drive also offers users with 15 gigabytes of storage via Google One. While Google One offers 100 gigabytes, 200 gigabytes, 10 gigabytes, 2 gigabytes, 30 terabytes, and 20 terabytes offered through paid plans (these paid plans are however optional). File uploaded to Google Drive can be up to 5 terabytes. Google Drives is known for adapting to users’ needs by allowing them to use a language setting they prefer. It supports different languages. In case your main language is not English, you can change the language you want Google Drive to use whenever you perform a function like Google Search. Your default language is already set to your Google account, but you can change your search language on Google Drive. 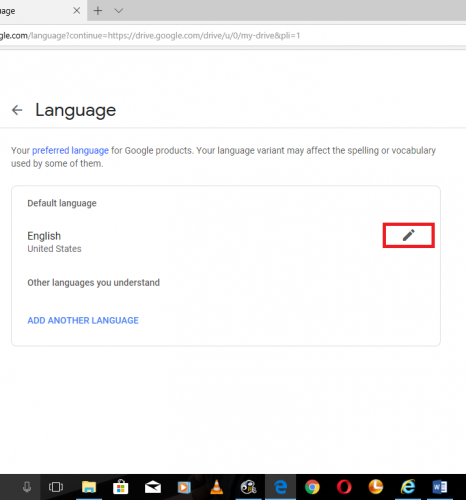 However, depending on your device, you may or may not be able to change your preferred language that your Google Drive search results are shown in. 1. 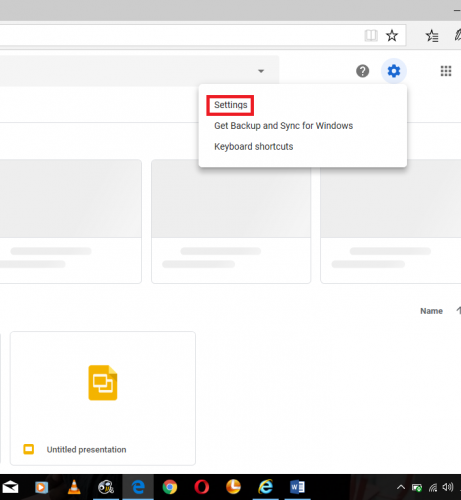 Login to Google Drive on your PC. 4. Click on the pencil icon. Google Drive is an amazing Google platform for storing files which you may need in the future. Storing files, such as docs and images on Google Drive can be beneficial in a situation where you either change or lose your device. It is one of the best ways of backing up files on your device. 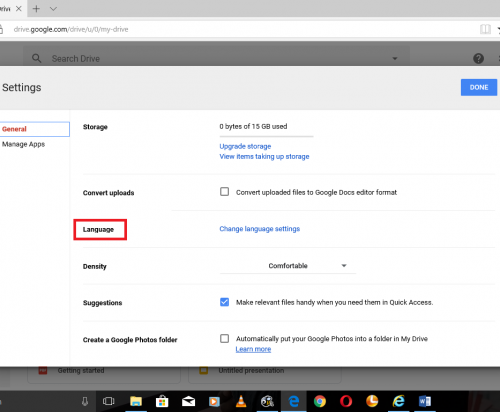 This article, however, is written to enlighten you on how the Google Drive search language works, and how you can change it. 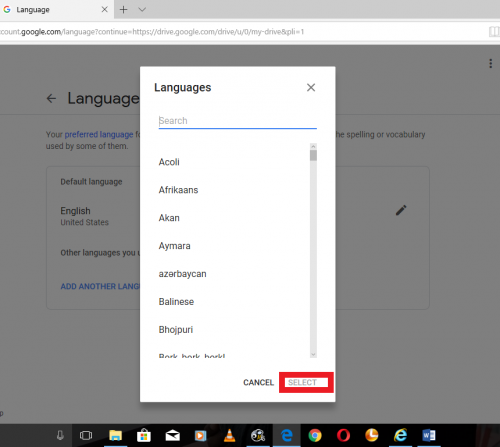 Perhaps you want Google Drive to recognize your preferred language, so you can perform a search using your language, then with the help of the steps listed above, the entire procedure should be less stressful. 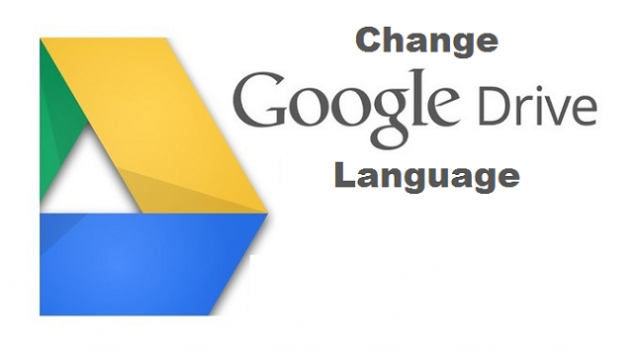 Have you successfully been able to Change The Default Language On Google Drive? Please, provide your answers and questions through the comment box.